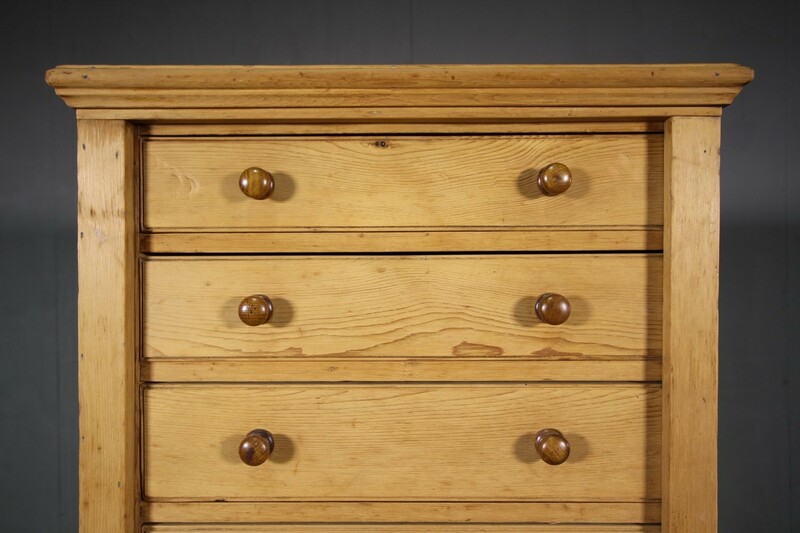 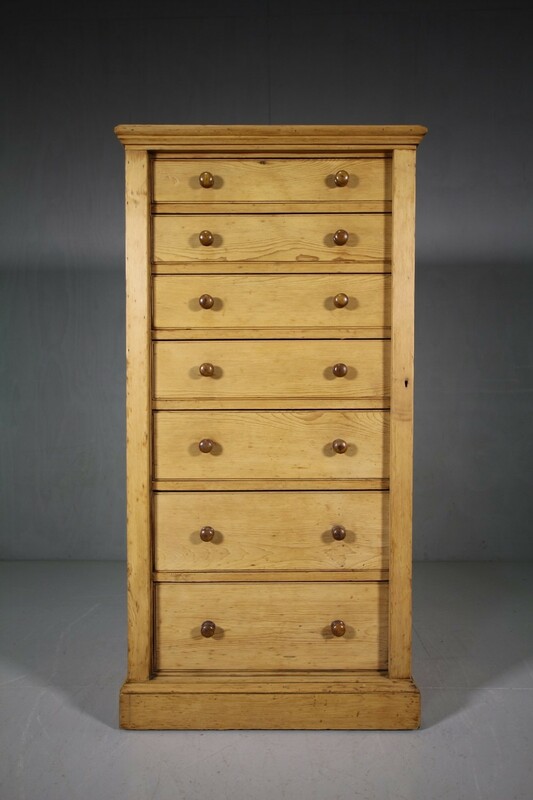 This is a very original tall antique pine Wellington chest of drawers that has seven, graduating drawers, all have the original turned, wooden handles and all run smoothly. 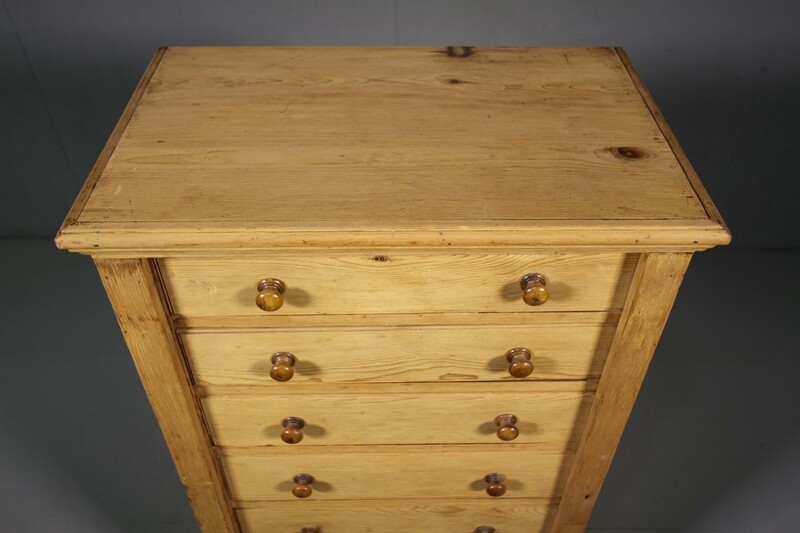 The top is moulded and the chest stands on a square plinth. 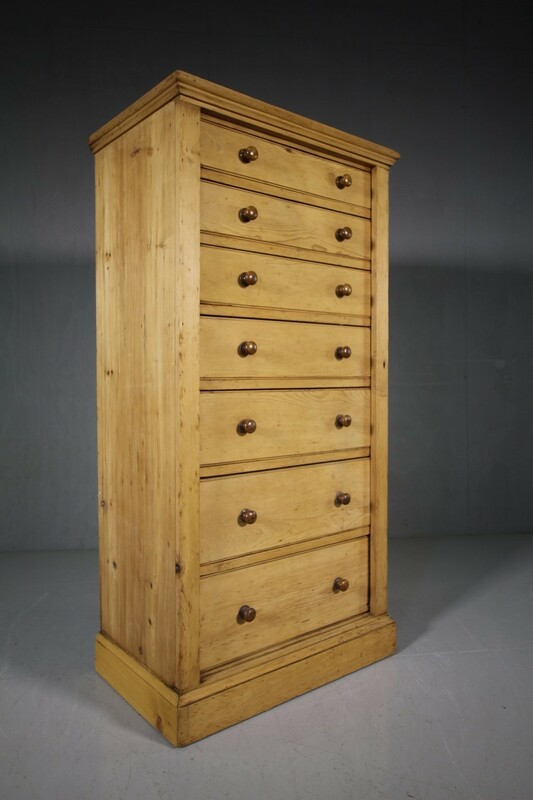 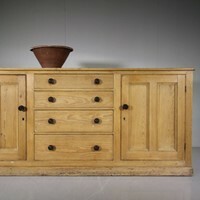 To one side of the drawers is a hinged pine locking door. 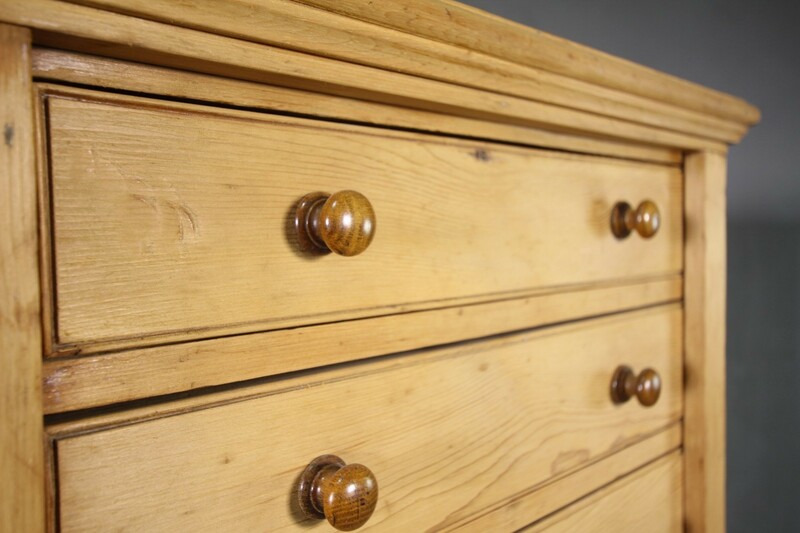 In very good, clean condition throughout and in a natural, pale finish. 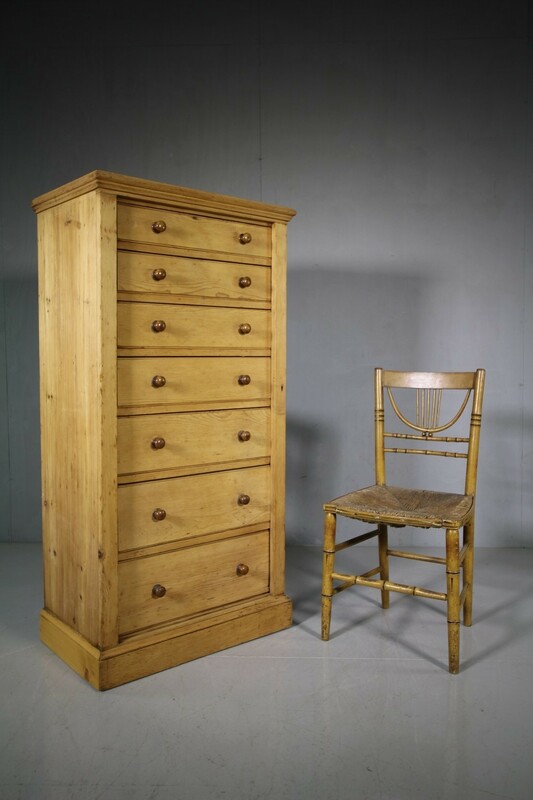 English and dating from around 1875.